If you’ve cracked your iPhone screen, you’ve got a number of options. A temporary fix such as sticky tape or a screen protector makes good sense in the short term. It’ll stop you cutting your finger on the smaller bits of glass and in most cases, the phone remains functional. For most people though this can only be a short-term fix. Let’s be honest, your phone looks a mess and it really doesn’t work as well covered in tape. If you’ve got a really old phone, or your contract just happens to be up for renewal then this could be the option for you. Repairing the screen on a really old phone probably doesn’t make sense because the cost of the screen will be greater than the value of the phone. If your contract is up for renewal then you can either put it in the drawer and forget about it, or if it’s a newer phone it might be better to get it repaired and sell it on or trade it in. Getting your iPhone screen repaired is often the most cost-effective option. If there’s nothing else wrong with the phone, why would you do anything else? 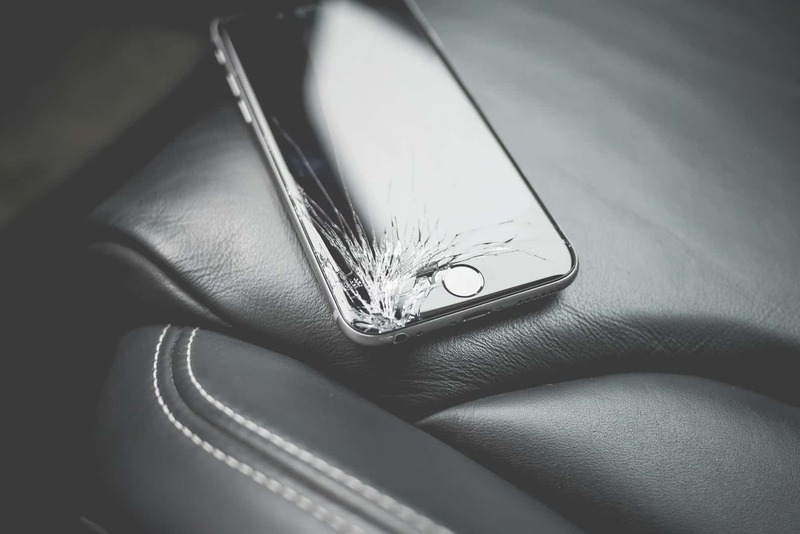 At WeFix, you can get a price to replace your broken iPhone screen in a matter of a few seconds. Simply put your postcode into the box, select your phone model, select your problem and a price to repair your phone screen will be displayed. Our iPhone screen repair price list is below. For prices on all other repair types please visit the WeFix mobile phone repair prices page here.